Founder and Managing Director of BC Serdon, Gergana envisioned a service company to assist foreign and local companies in developing their businesses in Bulgaria and Southeastern Europe. She has succeeded in creating a consultancy that provides that and more. Benefiting from two Master’s Degrees in business, and a multitude of training seminars in Bulgaria and abroad, Gergana has managed to marry local knowledge and expertise with international practices and work ethics. Her creativity and energy ensures the evolution of Serdon into a world-class consultancy. Practically bilingual in Bulgarian and English, French is gradually being added to her linguistic portfolio. Alexander is our expert in EU competitiveness policies and policy making in the field of SMEs sector development in Bulgaria and abroad. Building on his long-term work for the Bulgarian government structures and his professional capacities, he has more than 10 years of professional experience in programs and projects under the EU Phare program and other donors (USAID, UNDP), as well as in the programming of Structural Funds program. He possesses expertise in SMEs development and promotion, EU accession issues, competitiveness and international relations. Alexander has participated in projects of national importance, such as numerous assessments aimed to optimize the process of interconnectivity and interdependence among Bulgarian government, municipalities, and private sector; development of guidelines and management of the National Innovation Fund’s activities; the creation of Council of Competitiveness to the Council of Ministers to name but a few. Alexander has an excellent understanding of ESC programming, policy and planning especially on competitiveness and profound knowledge in appraising technical, economic and financial elements of project development. 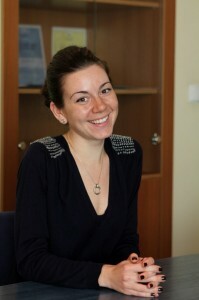 Nevena joined the BC Serdon team in August 2011. A Bachelor in International Relations at Sofia University, she is now studying to become a Master of Business Administration and Strategic Management. Nevena has various trainings in integrated marketing communication, management and business administration in Bulgarian and foreign educational institutions and seminars. Her professional career began with jobs and traineeships in both public and private sector on Bulgaria. Nevena has already gained experience in the sector of advertising and public relations, and in foreign customer service. Nevena is fluent in English and Spanish. Working as the Regional Director for USAID Regional Competitiveness Initiative project on South East Europe and Caucuses Regions, Filip manages the whole project with initiatives and activities in all Regions. Experienced in company, organizational and business association management, lobbying and advocacy, strategic planning, international business networking and business development, Filip brings dynamic, know-how and knowledge to the team. Angela is distantly cooperating with BC Serdon in the capacity of Foreign Liaison Officer. Holding a bachelor’s degree from Yale University and a Master’s Degree from UCLA in Linguistics, Angela is in charge of BC Serdon’s international communications. As a fluent Bulgarian speaker, she is also a member of BC Serdon’s market research team, having research experience in her native United States, as well as abroad in Germany, Russia and Bulgaria. Veselin is BC Serdon’s Chief Accountant, with more than four decades of accounting experience within a wide variety of fields, including the chemical, metallurgical and mining industries. Having served in a number of governmental posts, Veselin has broad experience with economic and scientific/technical cooperation between Bulgaria and other nations. Over the past fifteen years he has worked on numerous economic projects on the regional and national level designed to resolve problems arising from Bulgaria’s transition to a market economy. He also has extensive practical experience with management and accounting for small and medium-sized enterprises. 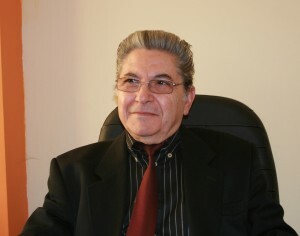 Holding a degree in International Relations from the Moscow International Relations Institute, Roumen has led a diplomatic career in Algeria and France, as well as worked for the Bulgarian Ministry of Foreign Affairs in Sofia. Before co-founding BC Serdon, Roumen worked in the banking and finance sector, reaching the executive management level. Through his education and many postings abroad, he has become fluent in English and French, in addition to his native Bulgarian. Not only is Roumen a co-founder of BC Serdon, he also manages the company’s finances and advises the management on business development issues.